COSMOPen is a state-of-the-art medical grade high speed micro-needling system. COSMOPen at Eshaan Medical Spa in Vacaville. 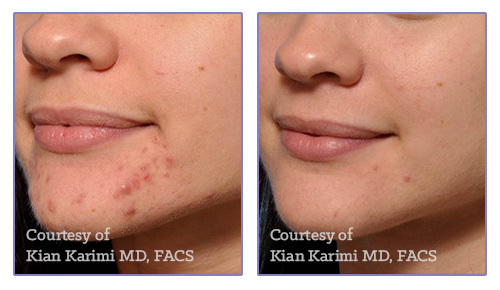 Get the same results as a fractional laser without pain, downtime, expense, or thermal damage. COSMOPen can be used to treat acne and surgical scars as well as wrinkles., stretch marks, pore size, and signs of ageing. Additionally, by vertically piercing the skin, COSMOPen helps naturally induce collagen production and treat pigmentation. Facial rejuvenation, restoring skin elasticity, production of new collagen. Improving acne and surgical scars. Reducing fine lines and deep expression lines. Improving the delivery of nutrients through the skin. Eshaan Medical Spa is located in Vacaville, CA. The Eshaan experience is one of relaxation, tranquility and comfort. 7 Weeks Of Celebration Fall 2018! This is the basis on which Eshaan was created. We are a medical spa where many aspects of skin care converge to enhance and rejunenate what is already naturally beautiful. We believe in nourishing and protecting the skin using proven technological and medical advances fused with natural elements. We work to provide peace and relaxation; elements in which inner beauty flourishes. Our goal is to ensure that each guest receives unparalleled service, exceptional results, and a first class medical spa experience.